Welsh heavy grunge riffers Ironbird have released their second album, Persian Blade, as a six-years-later follow-up to their 2012 debut, Songs of Spite and Ire (get it? ), and they’re streaming the record in full now. It’s easy enough to read a narrative progression into the tracks, and all the more so when one factors in the artwork by bassist Gob and the series of videos they’ve unfurled in support of the tracks. You can see one for the title-cut below, and it’s pretty pro-shop Flash animation in such a way as to make me think Gob is probably a pro of some sort in the graphic arts. It’s like Samurai Jack in the desert, which of course is cool by me, along with the ’90s viibes of the songs themselves. 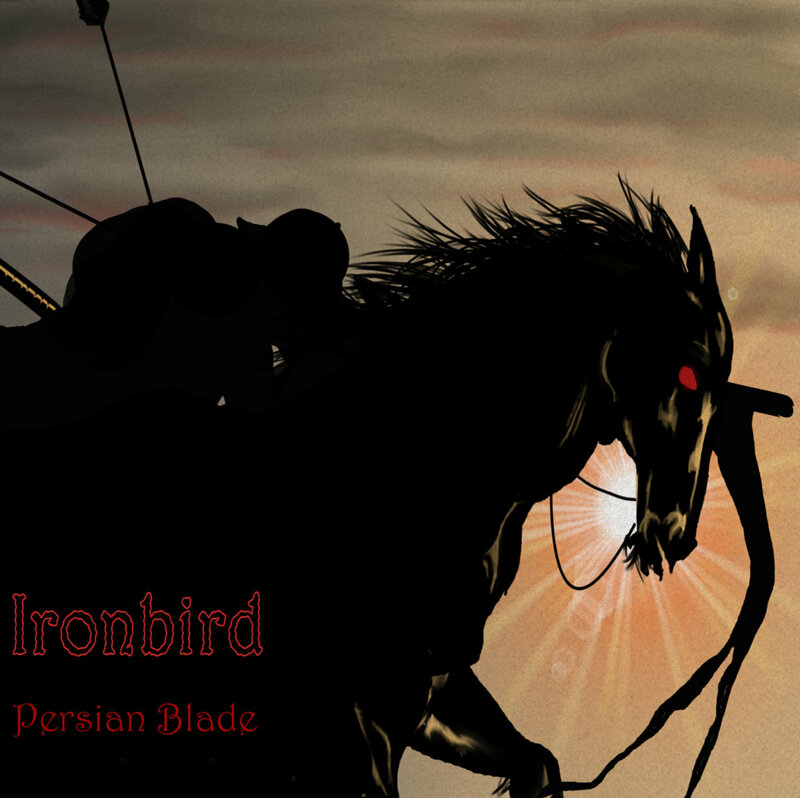 Cardiff, Wales premier stoner metal band, Ironbird return with their long awaited second album, ‘Persian Blade’ on 2nd November 2018 through False Lord Recordings. Recorded, mixed and produced by the bands guitarist Van and mastered by renowned engineer Pete Maher (Nine Inch Nails, Pixies, Jack White, Rolling Stones), ‘Persian Blade’ builds on the bands successful debut album (2012’s ‘Songs of Spite and Ire’) by displaying a more intricate and dynamic songwriting approach while also adding more colour and texture to the heavy vibes. Steeped in sounds synonymous with 90’s stoner and grunge bands such as Kyuss, Fu Manchu, Soundgarden and Alice in Chains, while also being influenced by classic rock melded to progressive metal, ‘Persian Blade’ delivers thunderous tales of assassins, curses and false messiahs reflecting uncertain times. 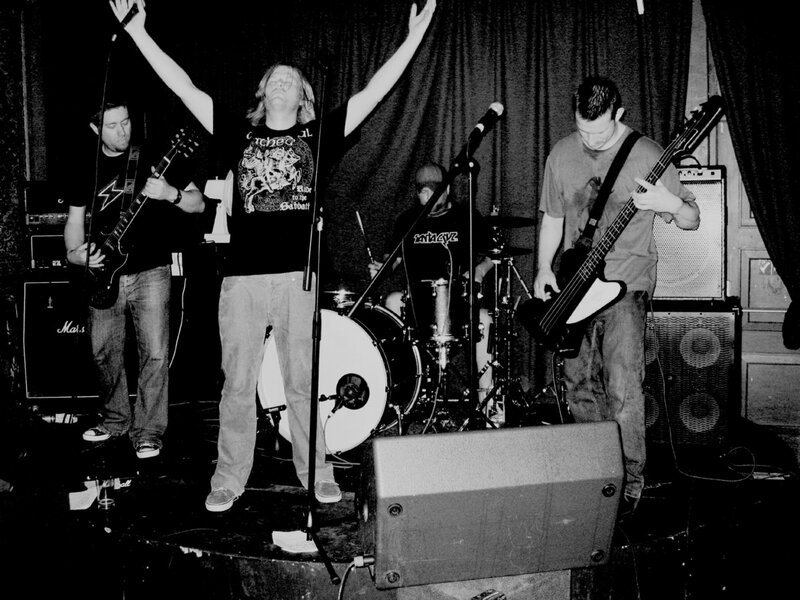 Formed in 2010 through the desire to create something unique in the genre, Ironbird were immediately thrown to the forefront of the burgeoning South Wales stoner rock scene and quickly built up a cult following on the local circuit. Their eclectic blend of hard rock and heavy metal was perfectly captured on their debut album, 2012’s ‘Songs of Spite and Ire’, which spawned the singles ‘Black Sunrise’ and ‘Assassins of the High Crag’. Gigs supporting the likes of Karma to Burn, Sigiriya and Bloody Hammers soon followed. This entry was posted	on Thursday, November 8th, 2018 at 8:38 am	and is filed under Whathaveyou. You can follow any responses to this entry through the RSS 2.0 feed. You can leave a response, or trackback from your own site.